Every community has unique needs and must have leaders who understand them. When challenges arise, will you have the strength to sustain your energy, lead and labor for others? Regional and national public servants in every sector guided creation of this program. They told us students need better training to discern which questions to pursue during tough times. There's a great need for leaders like you who can serve strong communities by implementing tangible solutions. 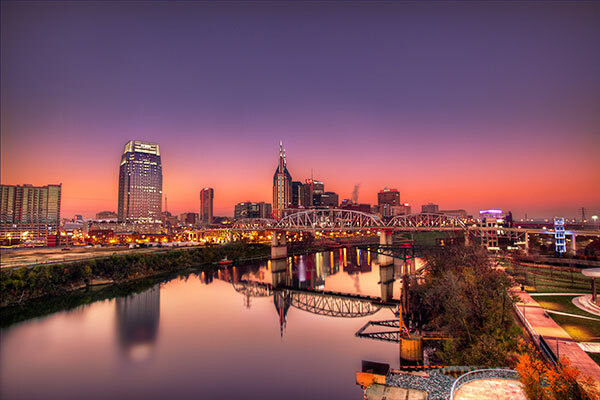 Discover ways to lead and serve with Nashville as your primary laboratory, seeing firsthand how our growing city deals with dilemmas and opportunities. Your field placement will help you gain valuable understanding of diverse policy issues. Join your classmates in the nation's capital and learn the framework of the Constitution from people with influence, and travel to Detroit and learn about the city in an immersive experience. You’ll discover that inspiration is not without the difficulties and complexities of poverty, race and money. Build critical skill in leadership, communication and conflict resolution. Our experts will lead you along the way. One year can change your life. Join us as we work together to engage, equip, and empower those who strive to serve the common good. The program's curriculum is built on experiential learning, meaning you will expand your studies outside of the traditional classroom and into the world’s classroom. A day in the classroom means building the skills that help individuals, organizations and communities thrive. Our professors have academic strength and deep real-world experience, and we connect students with the best of current thinking and practice. Curriculum builds skills in data analysis, conflict management, organizational leadership, and budget and finance. Program structure allows students to achieve their goals and their degree in a one year--program that begins and ends in August. Your capstone will be a policy-based prescription paper based on research and presentation. Application Fee: Each application should include a $50 nonrefundable application fee ($75 for international students). Accepted standardized test scores include those of the Graduate Record Examination (GRE), Graduate Management Aptitude Test (GMAT), Law School Admissions Test (LSAT), Miller Analogies Test (MAT) or Medical College Admission Test (MCAT). The writing sample should demonstrate clarity of thinking, reasoning ability, logic, and strong writing and communication skills. The sample should be an academic or professional document that has been previously written in an academic or professional setting. Previously published work may also be considered. The sample should not be something prepared for the sole purpose of admission to the program. References: Two letters of reference are required as follows: one from a college or university administrator or professor, one from a professional supervisor/employer, or one from a personal reference with knowledge of your ability to satisfactorily perform at the graduate level. Official Transcripts: Each applicant must submit an official transcript, showing degree conferral when appropriate, from all schools attended. Health Form: Each applicant must submit a completed health form signed by a health care provider. FERPA: The Family Educational Rights and Privacy Act affords students certain rights of access to educational records; even if you are independent of your parents, you must submit this form prior to enrollment. Resume: A resume detailing academic, personal and professional experiences and achievements. Goals Statement: A 750-1000 word expanded goals statement concerning the applicant’s interest in and application of the program’s curriculum to expected career progression is required. TOEFL: The Test of English as a Foreign Language is required for international students. Standard tuition for the graduate courses within the College of Leadership & Public Service at Lipscomb University for the 2019-2020 academic year has been set for $1070 per credit hour. For students earning their Master's in Leadership and Public Service, the cost of tuition includes all travel fees, which covers the cost of transportation, accommodations and some meals. All applications will be automatically considered for scholarships. Scholarships are awarded based on the strength of the applicant combined with a first-come first-serve basis, as limited funds are available. The priority deadline for scholarship consideration is May 1.